We understand that a perfect pair of flat shoes can make you look and feel great. Don't sacrifice comfort for the sake of style anymore. Introducing the latest innovation from Amope. 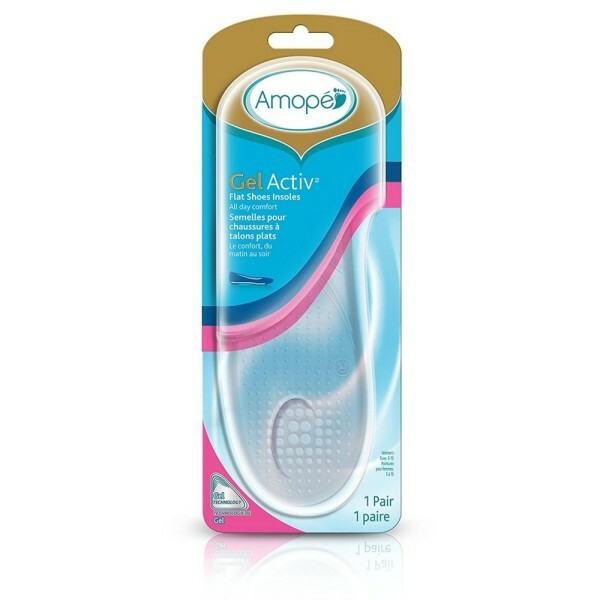 New Amope GelActiv Insoles. Our insoles offer cushioning gel that transforms flat shoes into your favorite pair of comfy sneakers. 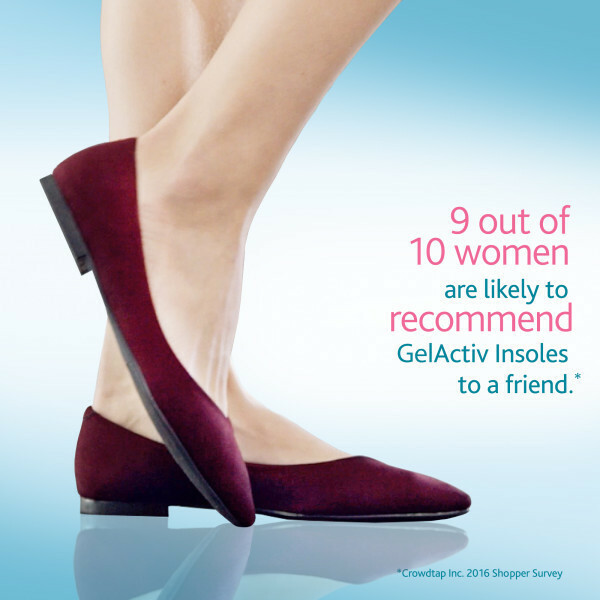 Our GelActiv insoles for women are made of soft, elastic gel to help relieve pressure and discomfort from your feet to keep you going all day. They sit perfectly between the slope of your shoes and sole of your foot to provide a comfy feel and support that you would come to expect a premium womens insoles. 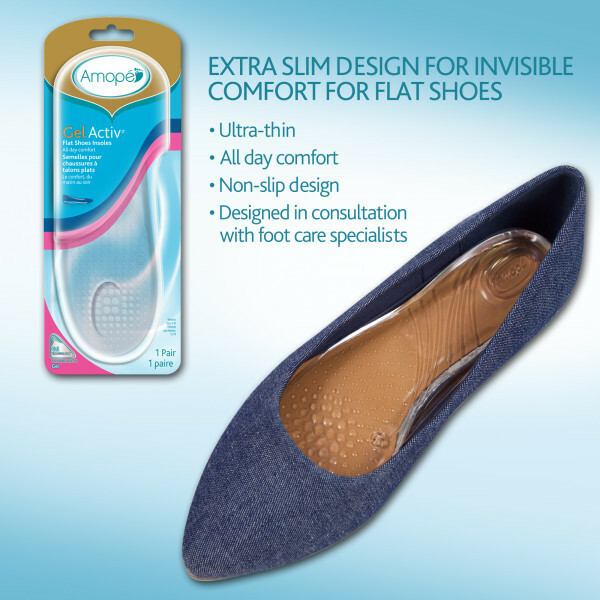 Amope gel insoles and shoe inserts were designed and assessed in consultation with podiatrists and foot care specialists. They provide superior cushioning and shock absorption for lighter-feeling feet all day. These womens insoles are different. Our Ultra thin insoles won’t crowd your toes. The almost invisible and discreet shape means they won’t show. 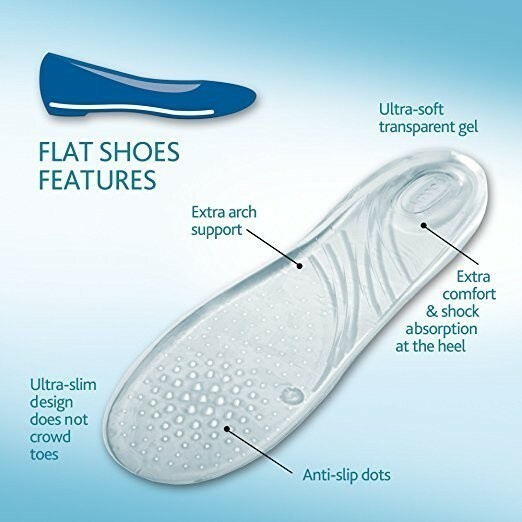 Unique non-slip adhesion gel ensure the insole and your feet stay firmly in place yet can be removed/reapplied. Suggested For: Women’s flat shoes or boots ranging from size 5-10. Achieve maximum level comfort with extra cushioning & shock absorption under the heels of your flat shoes and boots. Insert insole so that the raised area of the insole makes direct contact with the natural arch of your foot. Women’s flat shoes or boots ranging from size 5-10. Pull insole gently out of the shoe. Then, re-insert into a newly desired everyday heel. Non-Slip: Adhesion gel to help ensure that your feet and the insole stay firmly in place.